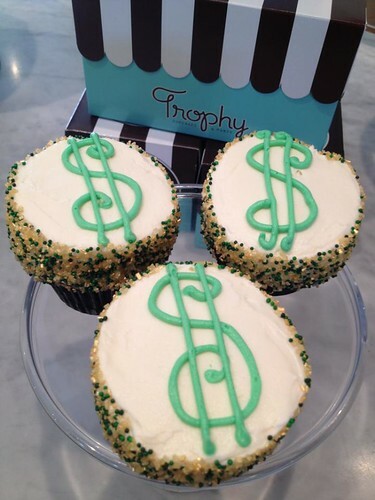 These dollar sign cupcakes were for sale Monday, the United States personal income tax deadline, but I think they're cute (and maybe a symbol of prosperity?) so am sharing them with you today. They're by Seattle's Trophy Cupcakes, via their Facebook page. Visit trophycupcakes.com for locations and information.